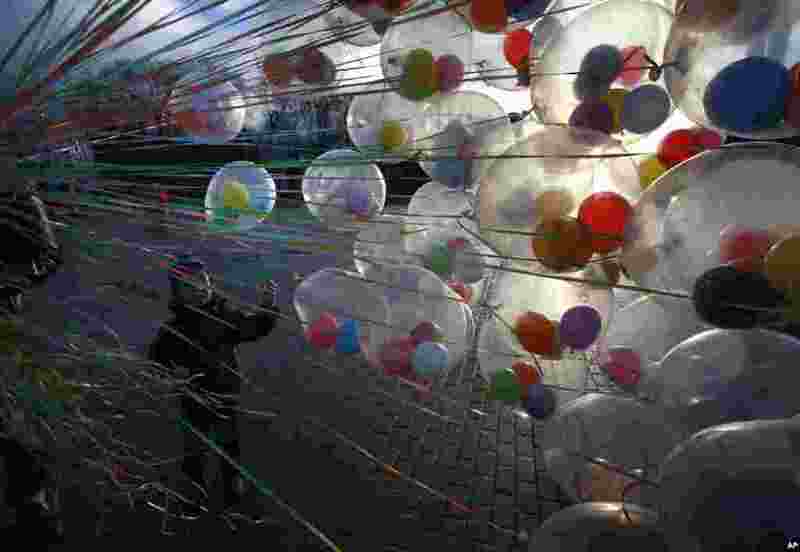 ١ A boy chooses a balloon from a vendor in central Minsk, Belarus. ٢ A Femen activist is arrested by Vatican police as she stages a protest inside the Vatican crib in St.Peter's square at the Vatican. 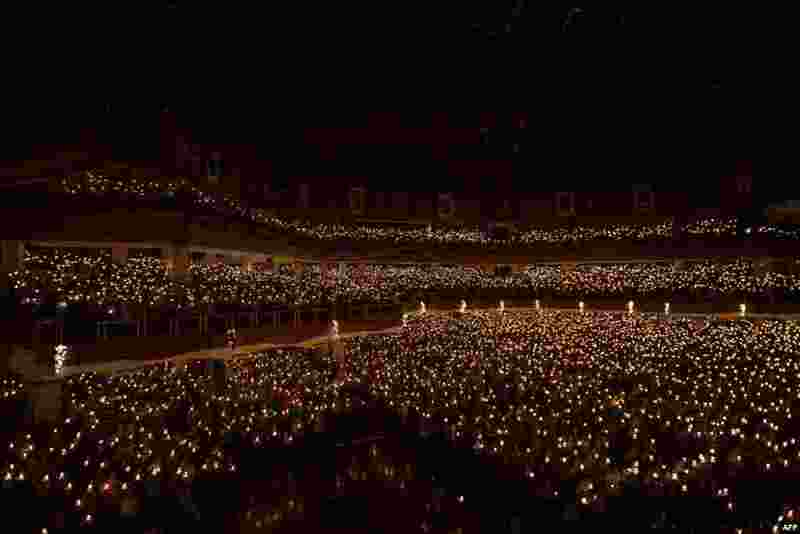 ٣ Christians hold candles during the mass service in Surabaya in the eastern Java island, Dec. 24, 2014. Millions of Christians in Indonesia celebrated Christmas eve in the most populous Muslim country. ٤ Britain's Kate, the Duchess of Cambridge, holds flowers she was given by people from the gathered crowd after attending the royal family's traditional Christmas Day church service at St. Mary Magdalene Church in Sandringham, England.